edit* After some input, it's been suggested to possibly push this back until March of 2019. If this is a better date than the two in the poll, please post or PM me. Hi all, looking to get some input here in order to plan a E46 M3 West coast meetup! 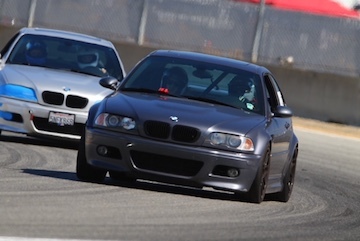 Drawing inspiration from the 46M East meetup, and past events, such as Mfest, Bimmerfest Santa Barbra, ect. and with the strong concentration of E46's here on the west, specifically in Southern California, it seems like a great idea to start planning an gathering. If anyone would like to directly communicate with me regarding planning/organizing, feel free to PM me your contact info. For those here that can chime in, could you COPY & PASTE the below in your post with your vote/suggestions? This should help us organize everyone's thoughts, and I can keep this OP updated. This gives the event a better chance at attracting more enthusiasts from Sac/SF area's and is an incredible scenic city for our cars, given its Danish roots are much like Barvarians architecture. I'll be scouting the city soon for a meeting place ect. 2. The even will be in March with an official date TBA. This should give everyone enough time to mark the calendars and take some time off. I will be updating the website and creating an even page with in the coming week. Thanks! Last edited by M spec; Mon, Oct-22-2018 at 07:28:23 PM. Love the sound of an e46 M meet - would like to admire the beautiful builds seen here on the forums. Any possibility of holding it somewhere like Morro Bay or Pismo? Could entice some NorCal folks to head down. I’d love to eventually move the destination each year, but with Southern California having the majority of e46 m3 owners, the first year it just makes sense to do something in the LA/OC area. Like the website, I'll keep an eye on this thread but I can't commit to anything would almost be too embarrassed to take my bucket there. I'm in norcal. Could make the trip down on a good weekend. I think a few others from norcal would too (other than just visit Buttonwillow ). im totally down with this but just FYI ACH has been lousy with cops lately. I got popped there not too long ago, and the cops are merciless. They will fight you tooth and nail on your ticket. My buddy got popped with me and he did trial by mail, and lost, and then went to court to fight it again, and actually had a case but lost. Depending on which weekend, I might be able to make it down and hit SoCal tracks while I'm at it. I drive ACH very regularly and have found that they don’t mess with us if we go early in the morning, when there are less civilians on the road. I haven’t seen a stop on a Saturday morning drive to Newcombs in a long time. I'd love to meet up in late November, but if it ends up being March, that's cool too. Last edited by M spec; Mon, Oct-22-2018 at 07:27:29 PM. All times are GMT. The time now is 10:09:58 PM.